The long-dormant Yellowstone super-volcano in the American West has a different history than previously thought, according to a new study by a Virginia Tech geoscientist. 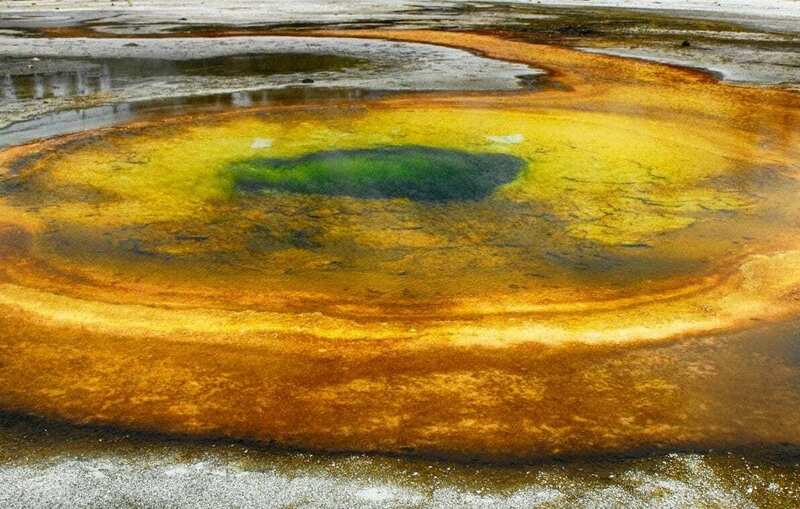 Scientists have long thought that Yellowstone Caldera, part of the Rocky Mountains and located mostly in Wyoming, is powered by heat from the Earth’s core, similar to most volcanoes such as the recently active Kilauea volcano in Hawaii. However, new research published in Nature Geoscience by Ying Zhou, an associate professor with the Virginia Tech College of Science‘s Department of Geosciences, shows a different past. The eruptions were very explosive, Zhou added. A theoretical seismologist, Zhou created X-ray-like images of the Earth’s deep interior from USArray – part of the Earthscope project funded by the National Science Foundation – and discovered an anomalous underground structure at a depth of about 250 to 400 miles right beneath the line of volcanoes. “This evidence was in direct contradiction to the plume model,” Zhou said. In her study, Zhou found the new images of the Earth’s deep interior showed that the oceanic Farallon plate, which used to be where the Pacific Ocean is now, wedged itself beneath the present-day Western United States. The ancient oceanic plate was broken into pieces just like the seafloor in the Pacific today. A section of the subducted oceanic plate started tearing off and sinking down to the deep earth. The sinking section of oceanic plate slowly pushed hot materials upward to form the volcanoes that now make up Yellowstone. Further, the series of volcanoes that make up Yellowstone have been slowly moving, achingly so, ever since. “The process started at the Oregon-Idaho border about 16 million years ago and propagated northwestward, forming a line of volcanoes that are progressively younger as they stretched northwest to present-day Wyoming,” Zhou added. 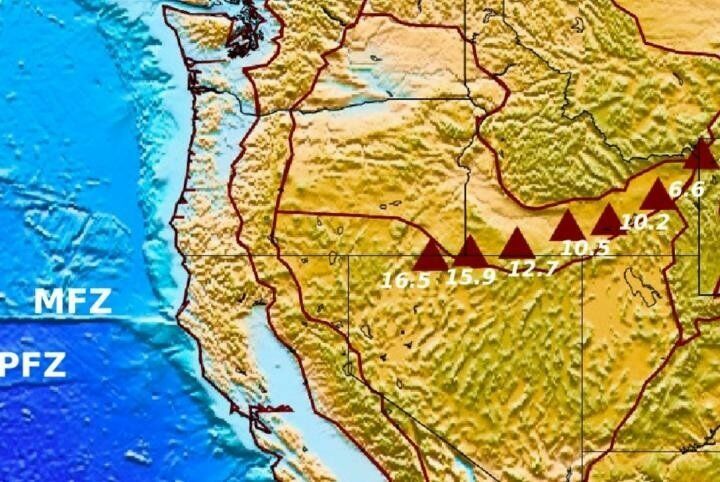 The previously-held plume model was used to explain the unique Yellowstone hotspot track – the line of volcanoes in Oregon, Idaho, and Wyoming that dots part of the Midwest. “If the North American plate was moving slowly over a position-fixed plume at Yellowstone, it will displace older volcanoes towards the Oregon-Idaho border and form a line of volcanoes, but such a deep plume has not been found.” Zhou said. So, what caused the track? Zhou intends to find out. The use of the X-ray-like images for this study is unique in itself. Just as humans can see objects in a room when a light is on, Zhou said seismometers can see structures deep within the earth when an earthquake occurs. The vibrations spread out and create waves when they hit rocks. The waves are detected by seismometers and used in what is known as diffraction tomography. “This is the first time the new imaging theory has been applied to this type of seismic data, which allowed us to see anomalous structures in the Earth’s mantle that would otherwise not be resolvable using traditional methods,” Zhou said. Zhou will continue her study of Yellowstone. “The next step will be to increase the resolution of the X-ray-like images of the underground rock,” she added.